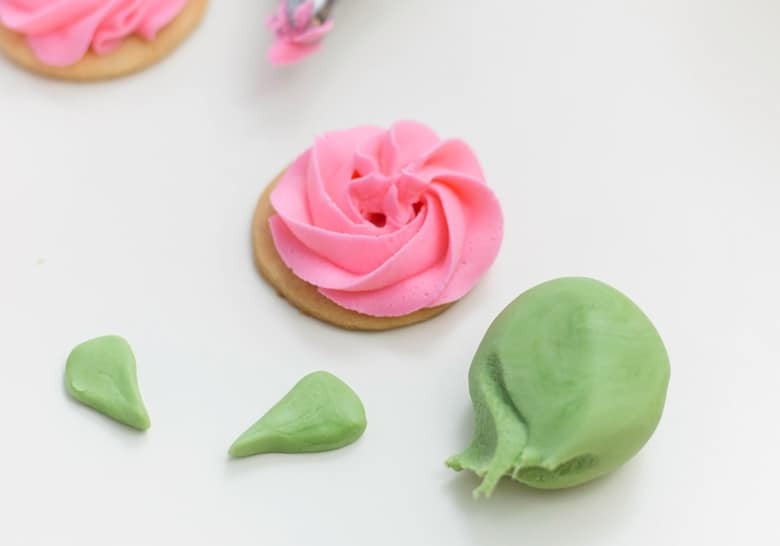 Learn how to decorate rose cookies using fondant and homemade buttercream icing. These beautiful pink rose sugar cookies are great for weddings, showers, or Valentine's Day. 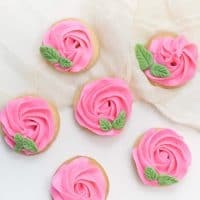 I am in love with these pretty little rose cookies and honestly couldn't wait to share them with you. 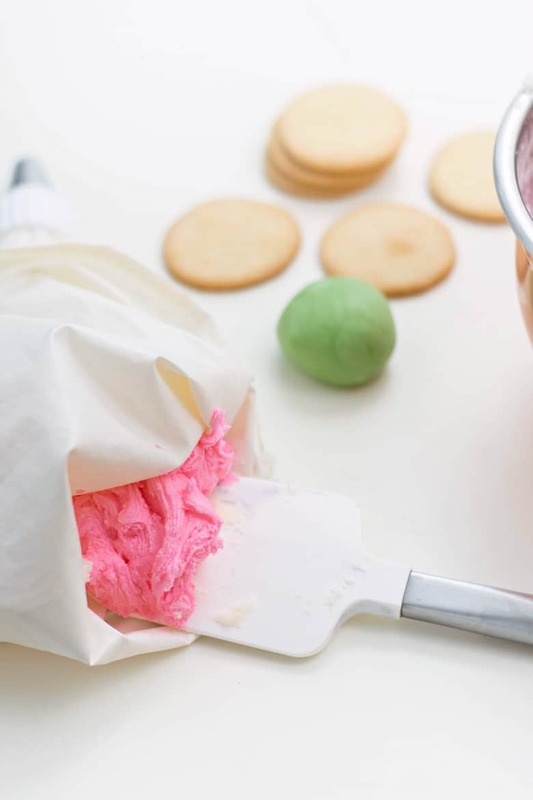 While these pink flower cookies may look fancy shmancy, don't be fooled. 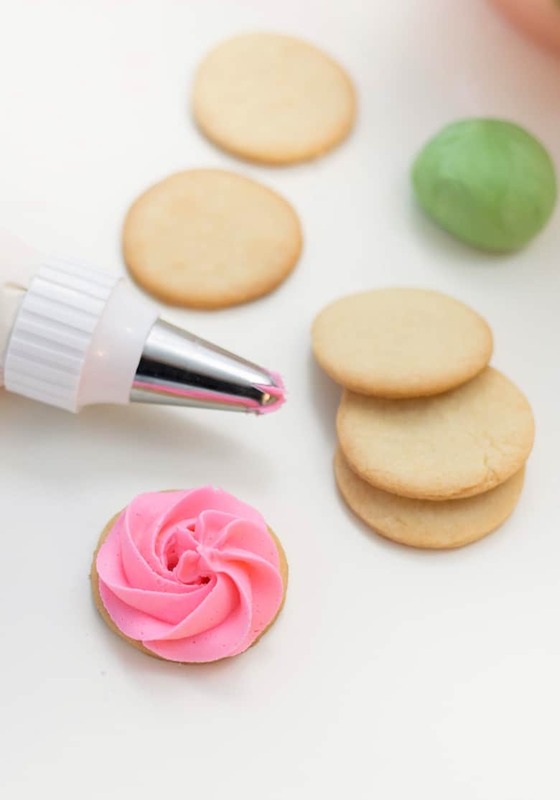 They are actually quite easy to create, just like our decorated unicorn cookies. 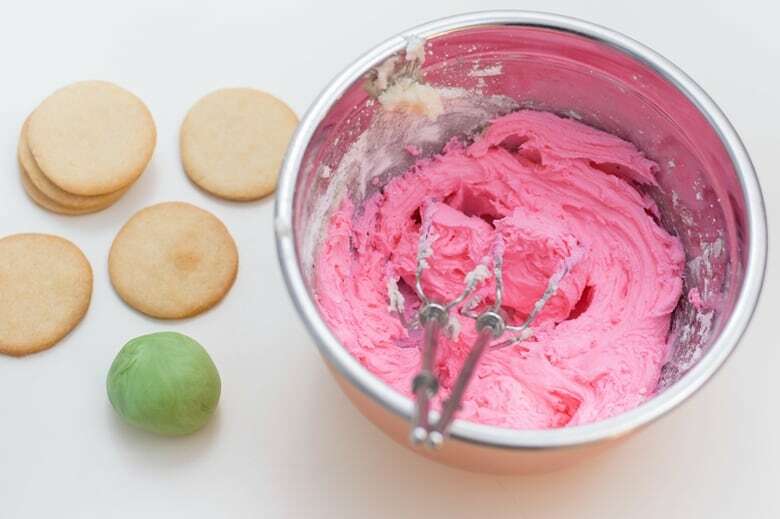 The key element to these cookies is the beautiful pink buttercream icing, which is as delicious as it is beautiful. The green fondant leaves give the flowers a little pop of color that compliments the pink buttercream icing so perfectly. 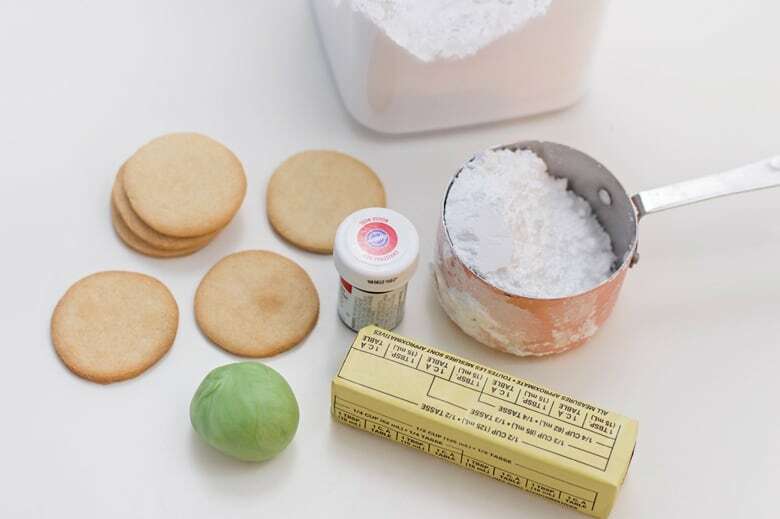 Start with a dozen of your favorite sugar cookies, each about 1.5 in wide. Be sure to allow the cookies to cool fully before decorating. Prepare the buttercream icing by beating butter, powdered sugar, and milk. Begin on medium speed then increase to high speed. 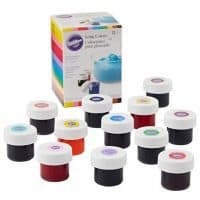 Add red gel food coloring and continue beating until buttercream is completely tinted. The buttercream is ready once it is smooth and forms semi-stiff peaks. 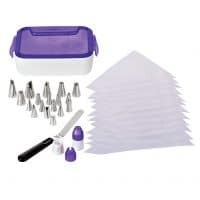 Transfer buttercream into a piping bag fitted with a star tip. Starting in the center, frost each cookie in a circular motion. Use green fondant to make 12 small spheres, and another 12 that are slightly smaller. Flatten each sphere out slightly and form a point at one of it's ends. Use a toothpick to score lines on each leaf to give them a more realistic leaf look and texture. Place one of each size leaf on each cookie. 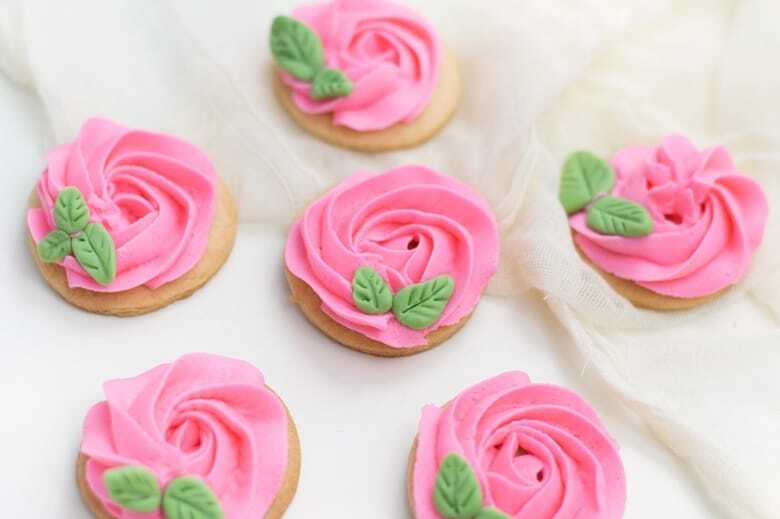 I hope that you enjoy these beautiful pink rose cookies. They really would be great for serving at a wedding, bridal shower, or for Valentine's Day. Or just served with a cup of pink velvet hot chocolate just because. 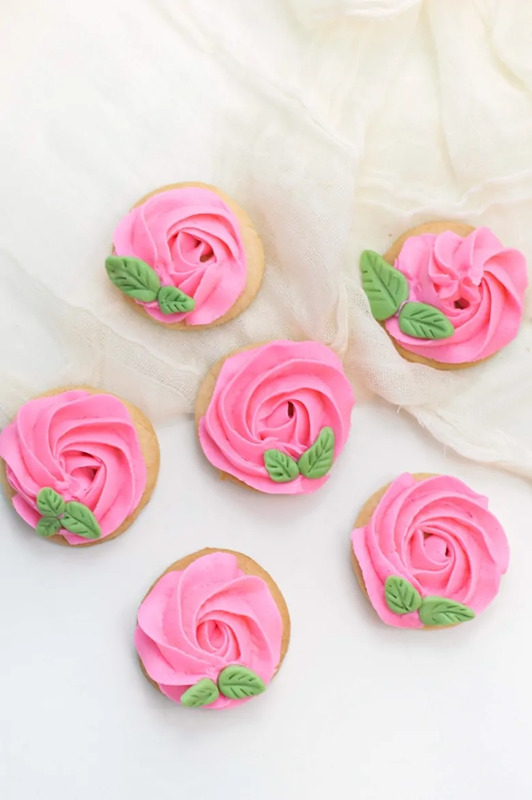 No matter the occasion, everyone will love these gorgeous rose sugar cookies. 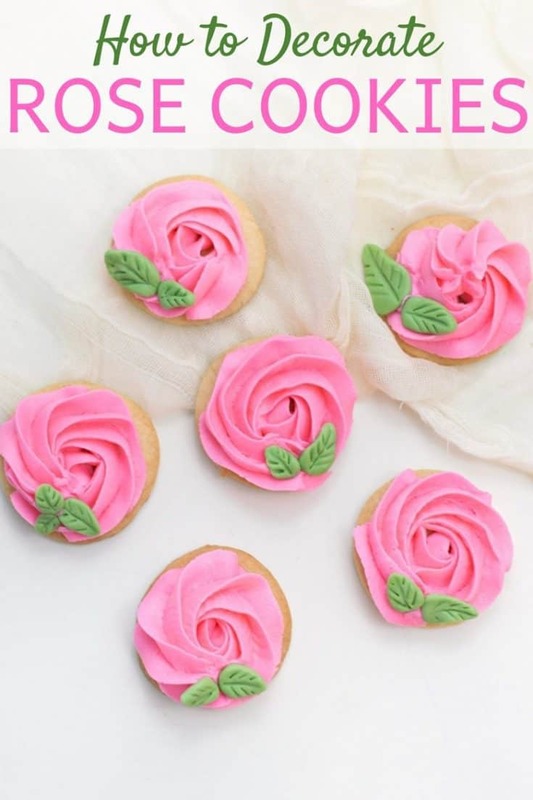 How to create pink rose cookies using fondant and homemade buttercream icing. 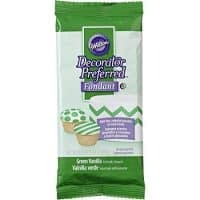 To prepare the buttercream icing, beat butter, powdered sugar, and milk in a medium-size bowl. Begin on medium speed then increase to high speed. Add red gel food coloring and continue beating until buttercream is completely tinted. The buttercream is ready once it is smooth and forms semi-stiff peaks. 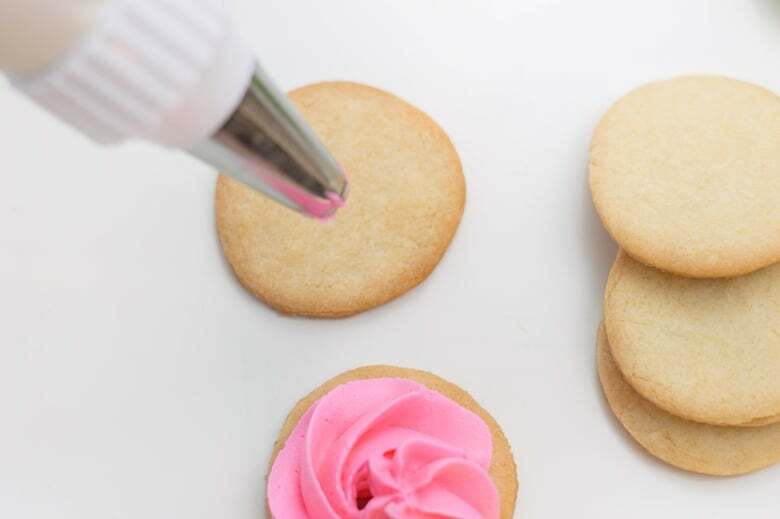 Transfer buttercream into a piping bag with a star tip. Starting in the center, frost each cookie in a circular motion. 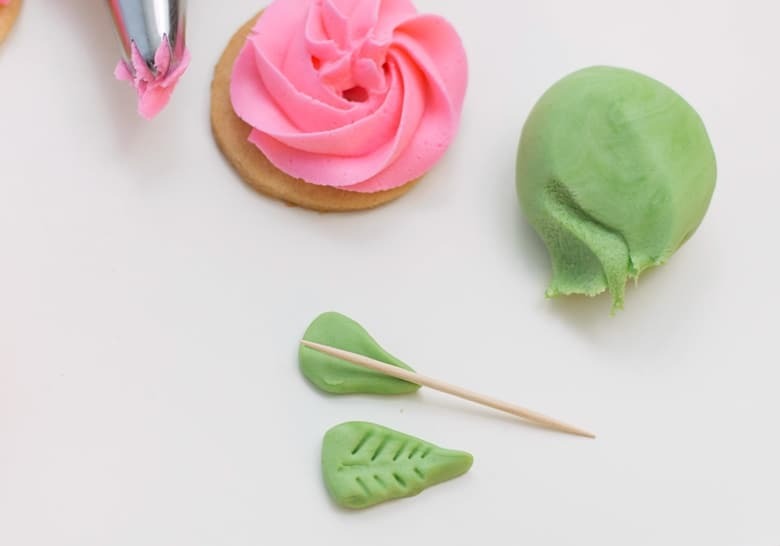 Use green fondant to create 12 small spheres, and another 12 that are slightly smaller. Flatten each sphere out and form a point at one of it's ends. Use a toothpick to score lines on each leaf to give them a more realistic leaf look and texture.